Enable the SNMPv3 agent, and create your user/pass/hash/encryption. For some reason you have to have a R/W user in the ZD. This does not seem to be a requirement of v3. Next lets configure PRTG, and find out where I made my mistake. So everything is pretty straight forward, but I was putting admin in for my context name as well. This was breaking the connection. 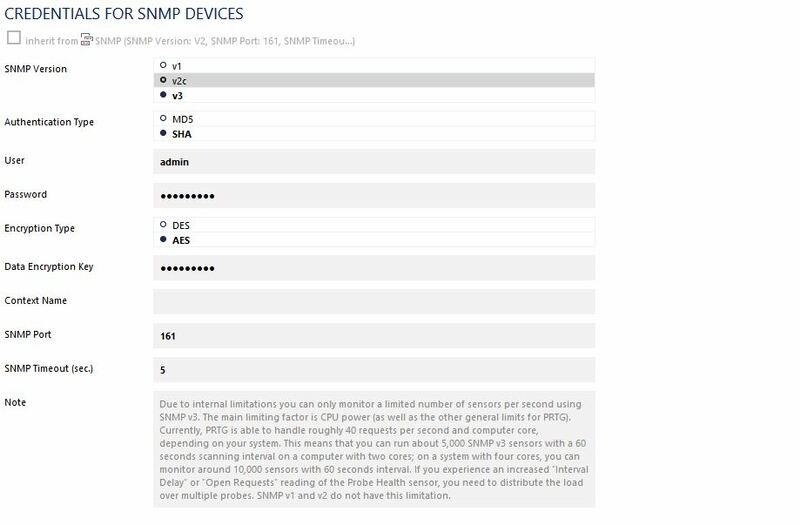 The context name is a collection of management information accessible by an SNMP entity. A context is identified by the snmpEngineID value of the entity hosting the management information (also called a contextEngineID) and a context name that identifies the specific context (also called a contextName). That was it, everything worked fine after that.